In an AC system, the thermostat is considered as the heart of it. 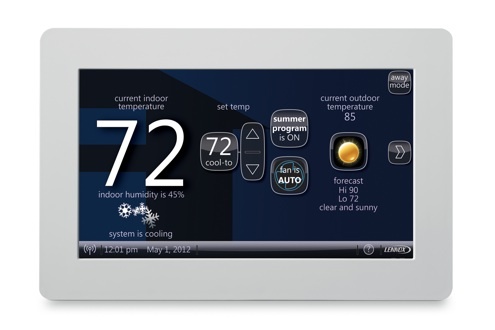 With a programmable thermostat, you will find it convenient to preprogram and regulate your home’s temperature whatever time of the day or whatever day of the year it may be. So, whether you are deep in your sleep, away at work or on a vacation, having a programmable thermostat will keep your home’s temperature on how you want it without hassle! Thermostats are unarguably the most important components in your home when it comes to energy saving. With the correct gadget, you can regulate the timing and duration of running HVAC systems to prevent wasting fuel. As technology improves, so does the design of these energy regulatory components. Ensuring your thermostats are always in a working condition is a sure way of cutting your energy bills. Besides, you get control over the conditions of your rooms without hassle. While thermostats can be installed manually, a great deal of care should be taken for the correct results to be achieved. Wrong handling of the gadget can mean you blow it out, or you affect the electronics in working together with the thermostat. With the many designs in the market, selecting the most compatible programmable gadget is as well challenging. 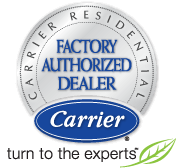 Contacting All Week air conditioning professionals addresses all your programmable thermostats installation NJ problems. On the other hand, your current thermostat could be offering a good service and saving energy considerably. However, it could be time you considered replacing your old thermostat with a new gadget. Newer models have advanced features when it comes to operation and the versatility of temperature control. The main challenge is fixing it to the old system as not all features may be compatible. Taking a connector to the wrong port could destroy your investment even before using it, a good reason why you should contact us for the installation. Out of years of residential and commercial thermostat installation within New Jersey, we have a good knowledge of the common thermostat brands. If your programmable thermostat has a problem you only need to contact us and the system will be back into operation within a short time. Besides, we perform maintenance on all HVAC systems. We guarantee you a fast response within Bergen, Essex, Morris and Passaic Counties in New Jersey. Contact us today for new programmable thermostat installations, thermostat replacement, repairs and maintenance services in New Jersey.